The Pink Rose. The Sweetest Rose Of All. The Pink Rose Has It All. Top Of The List. My Favourite Of All Rose Colours. Pink Standard Roses with Purple Salvia. A Beautiful Colour Scheme. The pink rose. What could be more romantic? Well, it's definitely my favourite coloured rose. There's a pink rose in just about every rose group from the small miniatures to the largest climbers and ramblers. I have gathered together as many of my all time favourites based on colour, length of flowering season, hardiness and disease resistance, as I can fit on this page. 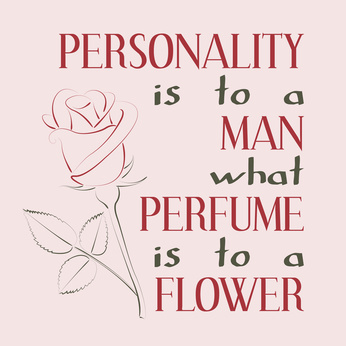 But there's one more quality: Fragrance. However, I'm not going to leave one rose out just because it may not get a 10/10 for fragrance. So I will begin with my all time favourite rose: the Fairy. This small but sturdy Floribunda will just keep on blooming and blooming. It has little fragrance, but it is a real workhorse of a rose. 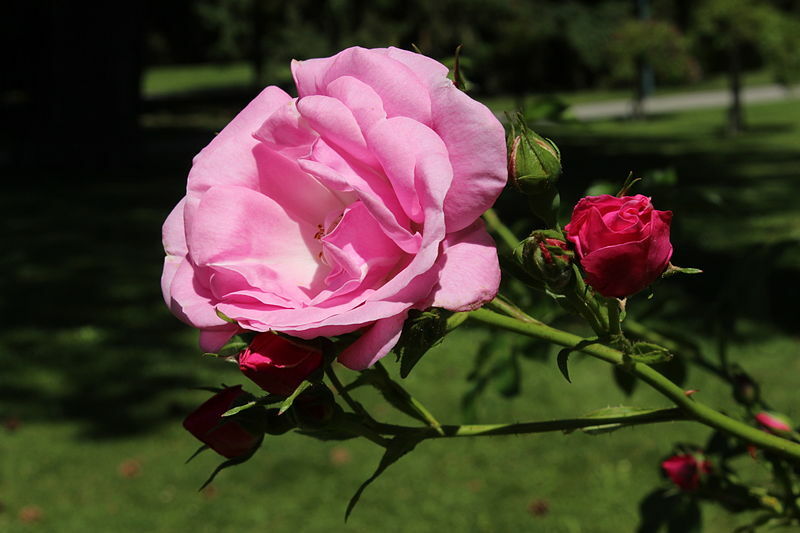 The pink rose to have in any garden, whether in a garden bed (surrounded by blue or purple and maybe white companion plants), or in a medium sized container. It blooms from mid spring right through until autumn and is excellent for a hedge or as a specimen plant. Read about the lovable Fairy Rose on its own page. The beautiful pink rose 'Bonica' is a multi-award winner. It is a Floribunda created by Marie-Louise Meilland. It has charmed the world with its hardiness, disease resistance and long flowering period - from spring right through to autumn. No one can resist this rose. It has a mild fragrance and is also available as a climber. 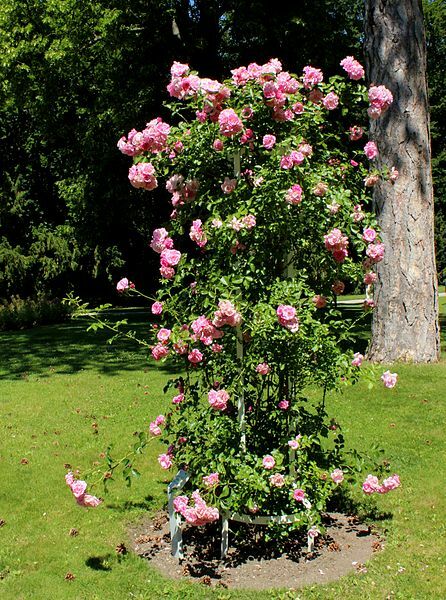 The climber is a sport of the original shrub rose type. There is even a rose which has been developed combining Bonica with Iceberg. Amazing! Find out just what 'sports' are on the Peace Rose page. Anyone can wake up one morning and find a 'sport'. If you're in luck, it just might be a winner. 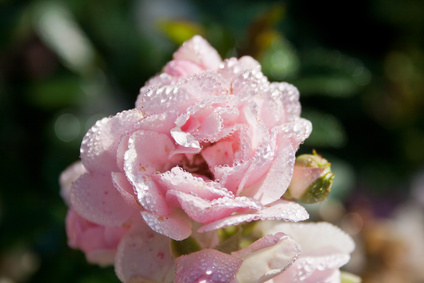 This gorgeous pink rose is another award winner and therefore definitely a candidate for your garden. It represents a new breed of roses, called Renaissance or Romantica roses, developed by the Meilland Company to combine the charm of the old world roses with the magnificent qualities of the modern roses. 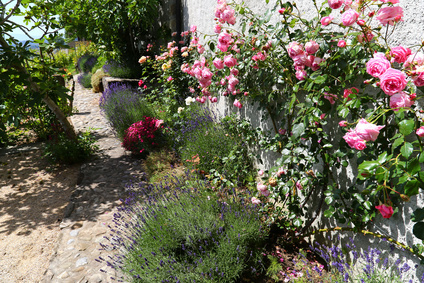 Just like David Austin has done in the UK, Meilland has done in France. This rose is one of its brilliant successes. It even looks like an old Cabbage Rose with its delicate multi-petalled cups. But this rose has the hardiness and disease resistance of the best of the modern roses of today. It is a pillar rose which grows very vigorously up to 12 feet. Find out all about the Pierre de Ronsard Rose. 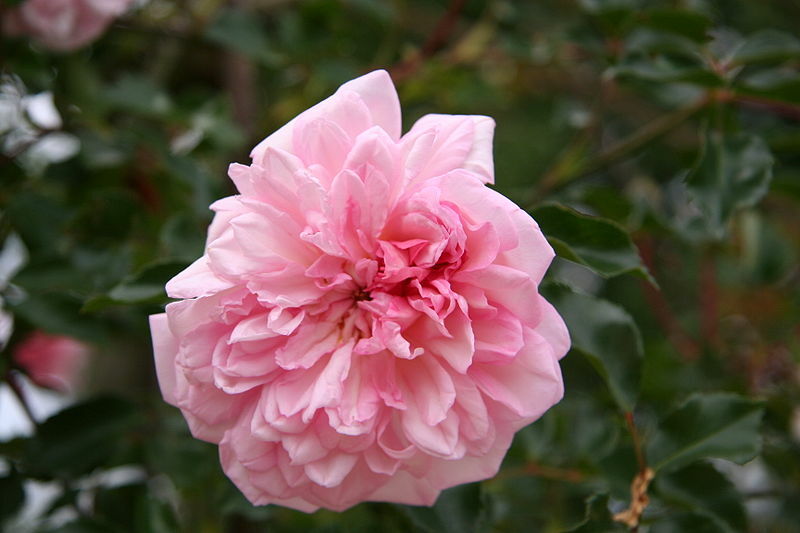 This rose is said to be 'the best pink rose ever'. It's certainly 'perfectly elegant' and fit for a Queen. It is the first and most popular of the Grandifloras which are a cross between a Floribunda and a Hybrid Tea rose. It was developed by Lammerts in 1954 to celebrate the Queen's Coronation (in 1953) and has won world-wide acclaim for over fifty years. It and its parents have a long list of awards. It is in the Rose Hall of Fame and holds its blooms proudly up high. It has unique red canes which help to make it a stunning cut flower. The Queen Elizabeth Rose. This beautiful Floribunda rose was developed in 1991 by the Kordes Company in honour of the Queen's Mother. Sublime. A Hybrid Tea Rose designed for royalty. 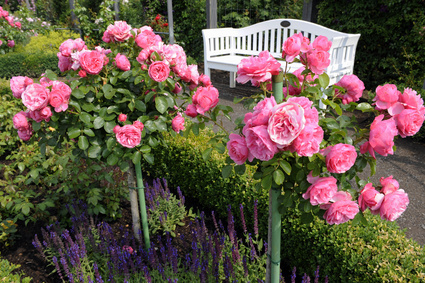 It is highly fragrant and comes as a shrub rose and even better, as the perfect climber for an archway or a trellis. Read all about it on its own page. It deserves it. Another touch of class. The Princess de Monaco Rose. This rose won't let you down. The Exquisite New Dawn Rose. A Wichurana Rambler. 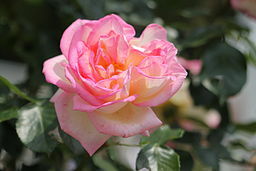 This sublime pink rose is in the Rose Hall of Fame, but it was really 'just' a lucky break for the world of Rose Lovers. One day a rose breeder just found it - just the one bloom - on one of his Dr. Van Fleet roses. He duly cultivated it, and here it is today. One of, if not THE, most famous fragrant climbing roses of all time. See it on the New Dawn Rose page. This is another pink rose which you may like to choose for your garden. It is a tough, reliable Floribunda shrub rose, and as its name says, it is easy to grow. You won't have many problems with this delightful rose in a really pretty rose colour. find out more about this pink beauty on its own page. The Carefree Wonder Rose. A sumptuous Hybrid Tea Rose. The Elle Rose. Highly Fragrant. Floribunda by Meilland 1999. Mme. Gregoire Staechelin. A Hybrid Tea rose from Spain in 1927. Ida Klemm. 1906. Multiflora Rambler. Ida Klemm As A Pillar Rose. Francois Juranville. Pink Wichurana Rambler. Francois Juranville. 1906. Wichurana Rambler. Garden of Merit Award. 1993. Looking very much like the pink rose 'Awakening', a sport of New Dawn. Find Pictures Of Hundreds More Pink Roses On My Pinterest Board.